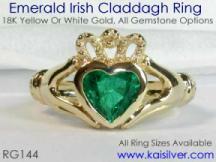 Kaisilver is the world's largest online jeweler providing high end custom online jewelry. 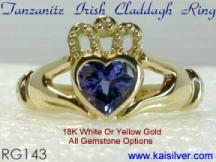 You can order all your jewelry online in 14k or 18k white or yellow gold and sterling silver jewelry is also an option. Over 3,500 skilled craftsmen and artisans work on all jewelry and with direct and preferential access to over 200 million carats of gemstones, we provide you with a range of jewelry options that no other online jeweler can match. Most online jewelers would expect you to choose from a standard set of design and gemstone options, you will therefore be amazed at the high degree of customization and flexibility that we provide. Every jewel that you order online is completely custom made and we do not mass produce merchandise. All gemstones are handpicked and custom cut by our gemstone experts and we can procure just about any gemstone that you need. Over 6,000 buyers from 17 nations choose us as their online jeweler for the amazing range of design options that we provide. You need not be limited by what you see on our website and can even send us your designs to be custom made. All design modifications are possible and all your queries and doubts are answered by a team of experts. You will not be pressurised into placing an order as we believe in guiding you and then allowing you to make a well informed decision. 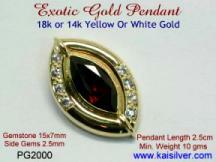 You can email us at sales@kaisilver.com and get expert advice from our team of talented designers and craftsmen. Our buyers include doctors, sportsmen, members of the U.S armed forces, government officials, lawyers, financial experts, housewives, surgeons, engineers, stock brokers, professors and others from every walk of life. We present here a brief list of some of our buyer comments. Spend some time reading the feedback and you will realize why Kaisilver has grown to become the most trusted and reliable online jeweler. Do not hurry to place your order with us. We would like you to make a well informed decision and would like to answer all your queries and doubts before you place your order. It would have been easy for us to install an online order and payment module on our website and take advantage of those impulse orders from buyers. But that is not our intention and we prefer to be on your side rather than act like a pushy seller. Firstly, send all your queries and doubts to us at sales@kaisilver.com A team of designers and craftsmen answer all queries and you will get no high pitched sales talk. We will guide you through the process of making a decision and then give you time to make up your mind. This is an outdated method of doing online business but we have preferred to keep things this way. 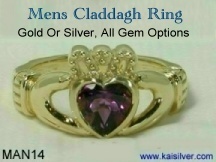 Payment can be made through Paypal and our email for paypal is INFO@KAISILVER.COM We are International Verified Premium Account holders with paypal so you can bid with confidence. You can register for a free paypal account at http://www.paypal.com We also accept payments through Western Union Money Transfers and International Money Orders in U.S$. Let us know if you prefer these modes of payment and we will provide details for the same. In most cases, your local bank would help you with the Western Union Money Transfers. Shipping charge is 25 U.S$ and merchandise will be shipped within 3 to 4 weeks of order confirmation and receipt of payment. We need this time due to the high degree of skilled craftsmanship required and the custom cutting of every gemstone that we use. We will never hurry your order by compromising on quality of material or craftsmanship. 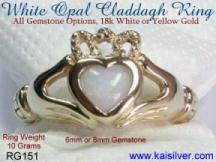 The best way to have your Kaisilver jewelry in time is to order it sufficiently in advance. (01) Looks Are Not Everything: Most buyers look at external design and appearance of the jewelry and give maximum importance to this. When looking for an online jeweler it is important that you review a few other things before making a purchase. A good design should have much more than just good looks. Ensure that the online jeweler you choose is willing to reveal complete information regarding the jewelry. Minimum weight, type of gemstone mounting and information regarding the gemstone being genuine or man made are some of the important aspects that need to be considered. (02) Check Information Online: A good online jeweler will have a healthy online presence and it is fairly easy to check this for yourself. Visit a search website like Google or Yahoo and search for name of the online jeweler. 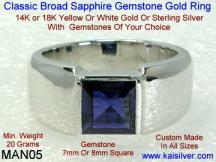 Do not put the complete name of the website, for example, type kaisilver and not www.kaisilver.com. When the results appear on the screen check for articles or other information released by the online jeweler. A good online jeweler will take the time to keep people informed about jewelry and gemstones and not keep blowing a sales tone all the while. Also look for any negative comments or complaints posted anywhere online for the jeweler. This process might appear to be a bit time consuming, but it is far easier to evaluate an online jeweler than to get information about a jewelry store in a mall or other shopping center. (03) Guidance And Not Mere Selling: Most online jewelers design their websites and train their sales staff to push buyers to the 'buy now' page to confirm the order and make payment. Avoid such websites and ensure that the online jeweler that you choose is willing to answer all your queries and doubts without hurrying you to make an impulse purchase. In the long run a well informed purchase works to the benefit of the buyer and the seller but most sellers look for quick profits and care little about buyer interest. (04) Customization And Flexibility: Stay away from online jewelers who have a website with standard design selections and expect you to make a choice from the available designs. Such online jewelers look at their own convenience and prefer to make jewels for which they already have design and mould details. Choose an online jeweler who will be willing to make what you need and with the gold and gemstone options that you need. There is really no need to make compromises when ordering jewelry online. (05) Customer Testimonials: You can get a good idea of the quality of merchandise and service that an online jeweler provides by looking for buyer feedback on the website. A good online jeweler will post buyer testimonials on the website after seeking the permission of buyers. If you intend making an expensive purchase from an online jeweler, request the jeweler to provide you with information of some references that you can contact. Expect this process to take some time as the jeweler would need to take the permission of the buyer before disclosing details to you. (06) Longterm Durability: The tremendous competition for online jewelry sales has made jewelers compete on price alone. Low price tags come by compromising on important things like gold weight, good craftsmanship and quality of gemstones and diamonds. Low weight will not allow gemstones and diamonds firmly and they could soon drop off from the mounting. Lightweight jewelry would also bend and dent easily and repairs could be a costly affair. A good online jeweler would keep your interest in mind and not rush to please mass markets at your expense. 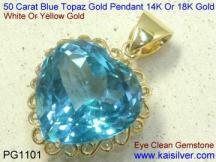 (07) Gemstone Options: Few online jewelers provide buyers with a wide range of gemstone options. The reason is mainly because they have very few sources for gemstones and convince buyers to make a choice from the limited collection. You can judge the size and capability of an online jeweler by observing the number of gemstone options offered. This is true even if the jewel that you need does not have a gemstone at all. 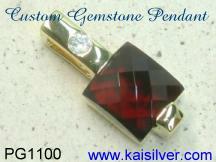 A good online jeweler will have direct contacts with large gemstone suppliers and this includes gemstone miners. This might be a difficult proposition if, your online jeweler does not have manufacturing facilities in the major gemstone and jewelry producing nations like Thailand, India and China. (08) Payment Options Not Relevant: We have come across many buyers who take great efforts to evaluate an online jeweler. They sometimes even ask for reference details of previous buyers and make it a point to contact them. Having done all this and even after getting a positive profile of the online jeweler, a decision is made to avoid that jeweler! The reason is because of limited payment options offered by that jeweler. There is absolutely no relationship between the number of payment options offered by an online jeweler and his competence and integrity. Fraudsters who intend to cheat you of your funds can do so no matter what mode of payment you choose. Evaluate an online jeweler for past records (buyer testimonials) and the tone of email replies. The emails should be loaded with answers to your queries and not sound like ultimatums to pay up and confirm an order. An online jeweler does not become a suspicious entity just because the payment mode offered by him is not convenient to you! We have tried to provide you with information that would help you in selecting a good online jeweler. Most buyers do not know much about gemstones or jewelry and sellers take advantage of this. It is therefore necessary that you choose an online jeweler who is willing to work with you rather than push you to make a hasty purchase. There is an old saying about jewelers and this holds true even today......value the jeweler before you value the jewelry. 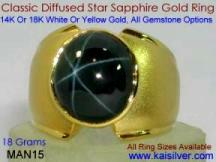 You can contact us at sales@kaisilver.com for any information regarding gemstones or jewelry. Our team of experts will answer all your queries and you are under no obligation to make any purchase from us.